Darshan Timings: 10:00am and 03:00pm. Reporting Place : Musuem ( Back side of the Srivari Temple). Requirements:- At morning 08:00am this Senior citizens's and Physical challenged person's have to report at Musuem. First 750 persons will have darshan at 10:00am and remaining 750 people will have darshan at 03:00pm, for that they have to report and take tickets at Musuem only. And the battery cars are also available at Museum back side of the temple. Eligibility:- 1. Those people who cross 65 they are treated as a senior citizen’s and they can go with this entrance. 2. Physical challenged person’s also can go with this entrance. For further details contact our call center : 0877-2277777, 2233333. Some sites say the afternoon Darshan is at 3:00 P.M. Most of them agree on 10 A.M and 10 P.M timings. This needs to be clarified and correct and latest information should be posted. Further, some sites say that one has to be at the Mahadwaram 90 minutes prior to the Darshan timing. Some senior citizens who had this privilege say just 30 minutes is enough. Comprehensive and detailed information would be better to all senior and differently enabled persons who wants to have Darshan. On 12th December, 2013, my wife and I joined the queue for senior citizens (for the first time in our lives; I am 71) at 8.30 AM. We came out of the temple at 10.30AM after darshan. My query: is there a restriction on the number of such darshans in a particular period? Can I have two such darshans ina month? As per Indian govt people who cross 60 yrs are treated senior citizens and just want to know TTD has any criteria for treating senior citizens who cross 65 yrs..
Parent both are 65+, do we need to book tickets for them ?? Both mother and father can go with free of cost, they have to produce the ID proof's. There are no tickets and no advance booking in the senior citizen Darshan. You can join either for 10 AM or 3 PM Darshan. My father is 65+ and mother is 61. Will my mother also be allowed in senior citizen darshan queue along with my father as she is less than 65. Yes. It is enough if one of the parents is a senior citizen. I am a heart patient and also kidney patient on dialysis. If I opt for sr citizen/handicapped persons darsan, will my wife also be allowed for darsan along with me? U produce all the related documents at the time of reporting, the checking officer will deside your wife is allowed with u r not. Depends up of the patient condition the officer will deside. If you are above 65, yes. Otherwise physically handicapped person, irrespective of age, is allowed. Heart and such ailments are not criteria for this Darshan unless you get an acceptable certificate from a doctor. Not likely unless your age meets senior citizen criterion. But if you have physically handicapped, you will be allowed with wife. Doctor's certificate is not required if physical problem is clearly visible. Plz provide the medical certificate at entry point they will sent for darshan. Note: No morning darshan on Friday's.. Yes. A wheel chair may be arranged for such persons. Can you please let us know the children entry timings? I do think that there is any special timing for children. They have to be accompanied by adults. They are not allowed in senior citizen queue . Morning 8:30am to 12:30pm, if crowd is less, up to evening 05:30pm they will sent for darshan. Morning 08:30am to 12:30am, if the crowd is less, up to evening 05:30pm they will sent for darshan. Bring the birth certificate and both the parents Aadhar card original have to bring at the time of darshan. One more clarification... Whether ttd will allow our kid around 3 yrs of age along with us with infant baby? Are the foreigners above 65yrs) with OCI eligible for the special darshan. My parents both acrossed age 70 + they accomplish how many persons allowed to with us. Those people who cross 65+ they can go with this Sr citizen entrance, by showing there age proof with free of cost. Normally they occompany with each other. One person will allowed with this people, but depends upon there walking abilities. No.You will have to wait outside. 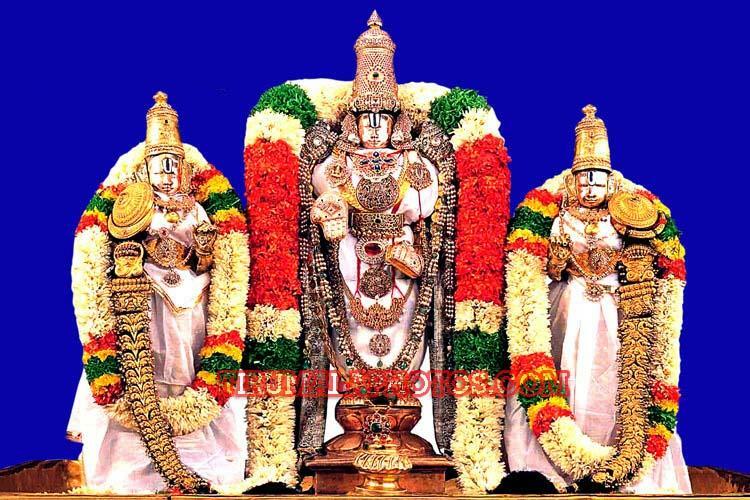 We as family have darshan tickets for 1PM on 2nd Aug. My mother is a senior citizen (69 years) and other health issues. Will she be allowed to join us at 1PM through the senior citizen queue? No. Senior citizen timings are fixed. You cannot choose your own convenient timings.And the senior citizen queue is separate and the entrance is different. Special darshan and Sr. Citizen queue will be totally different. Sr. Citizen q will be a shortcut way to have darshan, for that they have to take the ticket at 07:00am only at bank side of the temple "Museum". I visited thirumala on 9th August 2017 as senior citizen along with my wife. I reached there around 6.45am and already there were 200 person of both seniors and handicapped present. I left from tirupati at 5 am. We were put in an enclosure from 8am to 10.30 am and there were around 2500 people given this concession. We were given hot pongal n coffee. But sadly the volunteers have serious language problem n they are unable to guide people outside Andhra. I was sitting in seat n one volunteer shouted in telugu get up from here since handicapped people need to sit n enter first. U told him I cannot follow his language and told him not to shout at senior like me aged 67 years. They were releasing seniors handicapped all together with general people n it was pathetic to see people pushing seniors and handicapped. I decided not to visit such a mismanaged temple. Volunteers and staff inside the main sanctum take money and allow their kith and friends disregarding seniors and handicapped between 10.30am to 11.30 am which is reserved for seniors and handicapped. God only can save this temple from such unruly mob staff. Please select staff who can speak English and hindi. Hope this reaches the right people in TTD. Ttd will resolve this kind of issues, be cool sir. The first thing one should remember when visiting Tirumala especially is that TTD is trying to do an excellent job in very difficult conditions. I am a senior citizen, 75, and I have seen persons over 80 waiting patiently in the queue. And we should forget our language and other problems. There is always someone who can explain what's happening. And most of all, we should give up our arrogance. Whether you visit a temple or not is decided by someone else, HE, above us. Just looking at the Lord makes us forget all what we have undergone. My mother age is more than 65+, can i ( son) join with my mother under senior citizen darshan. My age is 35 years, please advise. 80+ means one person will allowed with this entry as accompany, for that we have to take tickets at morning 07:00 am at back side of temple museum is there in that point we can collect the tickets over there. Daily 1500 tickets will issued, first 750 will have darshan at 10:00 am and second 750 will get darshan at 02:00 pm. Bring original Aadhar card and show it over there, but onething in the year end there are saying no Sr. citizen enter will not be there. Any way we will get information to call center 0877-2277777. No. You cannot. Because she is a senior citizen, she will be allowed. Yes. Your father would be allowed to accompany your grandmother. Of course, if your grandmother is able to walk on her own, your father will not be permitted. He has to wait outside. No Seva tickets are needed for Senior citizen Darshan.Directly stand in line. Yes madam. You will be allowed to accompany your aged mother.